iPhone SE Is To Feature a Rear Back. Apple next generation device iPhone SE is to feature a rear back view with icons that can be highlighted and see through. 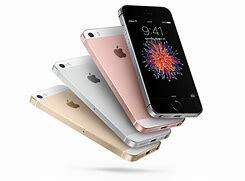 Over the years apple has being known as the tech giant when it comes innovations and ideas, according apple the vision is to build a phone which features a see through. Which means it might look like glass all through, am thinking, could this be the reasons while most mobile device today are all featuring glass rear all through, which is nearly close to a mirror and you can see your face clearly on it and even apply make up with no mistakes. My stand is on this, while we are considering how awesome and elegant these devices look when it comes to featuring rear glass, can we also consider the cost of fixing the mobile device in case of hardware vulnerability. All the same, this post is just a rumor of what we all expect to come from apple later or soon. ← Apple Introduces Safari Technology Preview 47 To Fix Bugs.